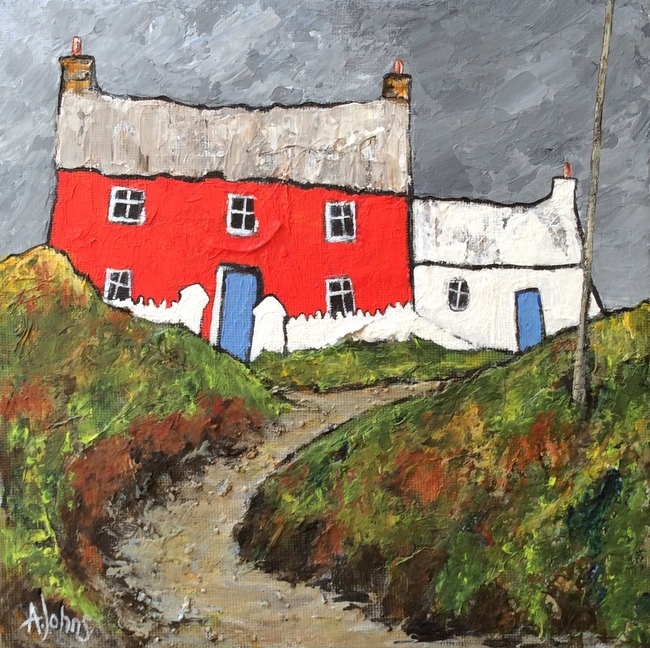 Audrey's special interest is in the vernacular buildings characteristic of West Wales. Some images are easily recognisable, while others represent an imaginative path where a fusion of history and creativity take control. 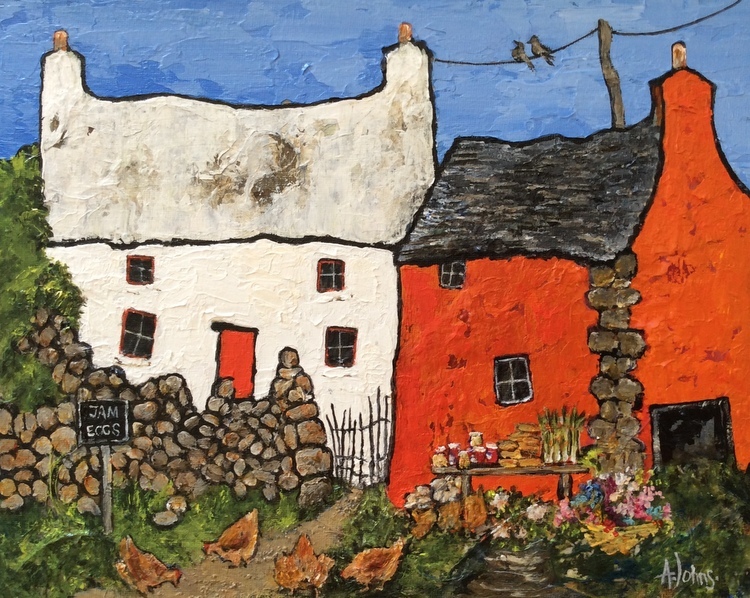 Some images are sufficiently strong to inspire factual representation, while in landscapes and village scenes, the introduction of colour is hugely important, and brings the image right up to date, rendering a traditional scene with a surprisingly modern twist. Explorations into the Pembrokeshire countryside, researches into local history archives, museums, and antique fairs have been a good source of inspiration. Subsequent visits to some locations can be a delight or a disaster, depending on the degree of modernisation which has taken place. Audrey's favoured medium is non toxic acrylic paint, from a limited palette of Earth coloured pigments, mostly used straight from the tube and knife painted onto canvas covered board.